Every kid worries about making friends at a new school, but when 9-year-old Bud accidentally catches the wrong bus and finds himself launched into deep space, new friends are the least of his problems! 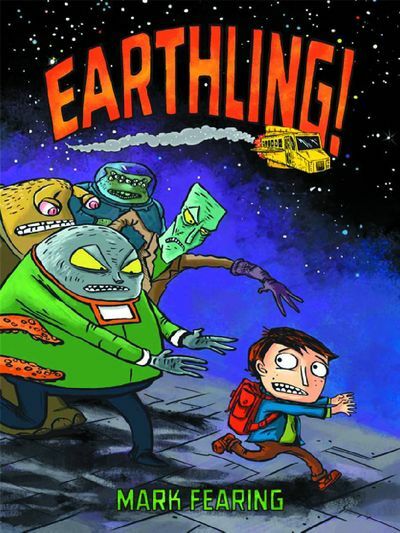 At Cosmos Academy, Bud learns that Earthlings are the most feared creatures in the galaxy, and even Earth's location has been hidden! With the help of his new friend, Gort, Bud goes undercover as a Tenarian exchange student. Unfortunately that means everyone thinks he's a pro at anti-gravity Zero-Ball (even though he's really only a pro at watching sports). And with paranoid Principal Lepton threatto expel any Earthlings (into outer space) and only Gort's hacked Blip computer to help them deterEarth's co-ordinates, will Bud ever find his way home?